India has a diverse culture. India had been a land of festivals, traditions, and delectable food culture. This diversity attracts a lot of tourist from all around the world to come and explore India. Like other traditions, India has a very rich and diversified dance culture. Dance in India is not just limited to mere body movements. Classical dances are considered as a way of devoting to God since ancient times. There are many different types of dances and its forms in India. Every state has its own unique dance style. There are numerous folk dances of different states of India. Classical dance in India is divided into six forms on a national level. These include Bharatnatyam, Manipuri, Kathakali, Kathak, Kuchipudi, and Odissi. Today we are going to discuss the list of 15 famous DANCES of India. It is a famous form of Indian classical dance from the Indian state of Tamil Nadu. Its origin can be found in the Natyashastra. It is a temple dance which is used to depict religious stories and is used as a form of devotion to God. The movements involve bent legs, feet moving in rhythm. and hands being used to show ‘mudras’ or hand gestures. 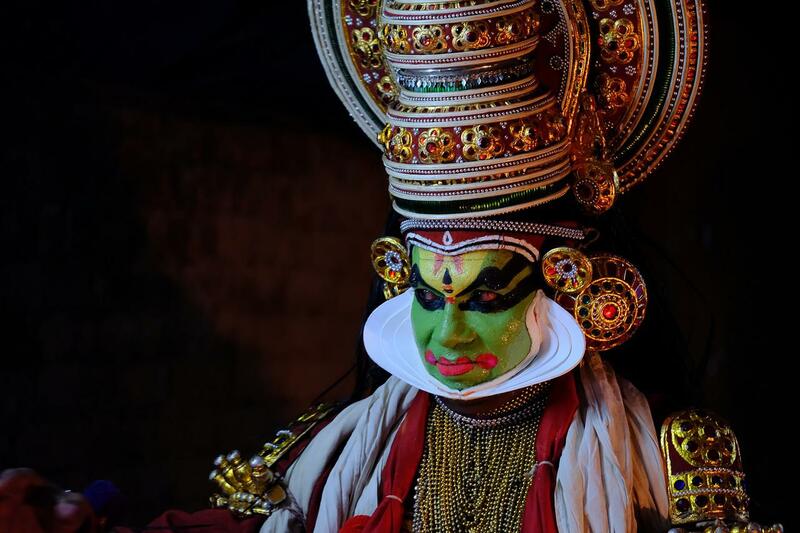 Kathakali is also a classical religious dance, originated in the state of Kerala. It is inspired by the stories from the Ramayana and the Shaiva tradition. Traditionally, male perform this dance. Even female’s roles are played by men. The faces are painted to look like painted masks and several headdresses are involved. Kathak is a famous form of classical dance from north India. It is performed by both males and females. Bells are worn around the ankles and gestures are used to depict stories. It is a combination of song, dance, and drama. This dance form from Manipur comprises of smooth, graceful movements which are used to depict scenes from Lord Krishna’s life The dance can also include choral singing and narrative chanting. It comes from the Indian state of Andhra Pradesh and it requires both dancing and singing talent. Traditionally being performed by males, this dance is highly ritualized involving the burning of incense sticks and formal holy introduction. Originated in the state of Orissa, it is predominantly performed by women. It shows postures like those found in temple sculptures. It is believed to be the oldest form of Indian classical dance with over more than fifty mudras (hand gestures) being used. After discussing about classical dances of India, let’s discuss about some famous Indian folk dances. This famous Punjabi dance is performed during the harvesting festival of Baisakhi. Bhangra and Giddha are two popular folk dance of Punjab which is widely practiced and performed in other states of India as well. It is a famous form of dance from the North Indian state of India- Uttar Pradesh. It is mostly performed during the festival of Holi and Janmashtami in Vrindavan and Mathura in Uttar Pradesh. This is a world famous dance from the Indian state of Gujarat which is performed during the time of Navratri around the idol of the Goddess Durga. Garba and Dandiya Raas are very popular outside India as well. It comes from the Indian state of Rajasthan. Ghoomar folk dance is performed by the Bhil tribes along with some other local communities. Traditionally being women dance, it is included in the list of ‘top 10 world’s most amazing local dances from India’. It comes from the Indian state of Assam and is performed during the cultural festival of Bihu. Bihu is performed in groups along with traditional Bihu music. Rouff is a very famous traditional folk dance from the beautiful northernmost Indian state of Jammu and Kashmir. 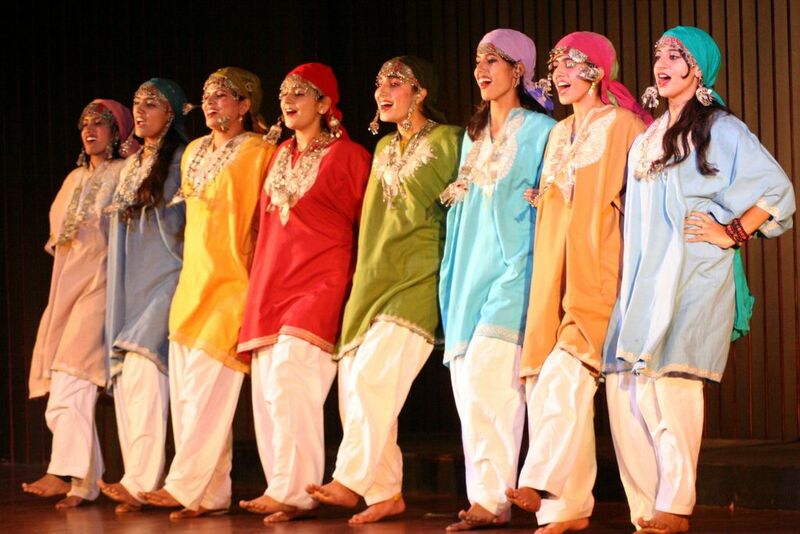 Dumhal is another famous form of dance from Jammu and Kashmir. These are performed on specific occasions and at some set locations. It comes around the Indian state of Maharashtra. Lavani is a combo of folk dance and traditional songs which are performed on the beats of Dholki. It is also practiced in Madhya Pradesh, Tamil Nadu, and Karnataka. Folk dances and arts are an important part of several tribes living in the state of Chhattisgarh. Raut Nacha is a tribal form of dance that depicts the traditions and the local culture of the tribes living in the region of Chattisgarh. The famous Folk art Pulikali or Tiger dance is a very popular folk dance of Indian state of Kerala. It is performed during the harvest festival of Onam in Thrissur- The Cultural Capital of Pulikali. It is a worldwide popular colorful, recreational folk dance from Kerala. Chhau Dance is very popular and important folk dance originated in the Purulia district of West Bengal. This is an Indian Tribal Martial dance which is performed during the harvest festival. This is also popular in other states of India like Jharkhand and Odisha.